This is post #15 in a fifteen post series, entitled “15 Days to Writerly Awesome in 2015,” posting on Sunday, Monday, Wednesday and Friday of January. And the series comes to a close. We've learned so much already, haven't we? From scheduling our writing time to creating our own writing spaces, this has been a month of serious content. Someone pour me a cocktail, please. Kidding! You know I'm a wine kind of girl. The fun, inspiration rush you get when you have a new idea. You know that feeling? When you're struck by the muse in a grocery store and you whip out your phone and type up a jumbled set of words because you can't afford to lose this stroke of brilliance? That's the one. The pretty notebooks. I mean, just peruse some of my blog posts, people. I'm a notebook hoarder. S/O to TJ Maxx. All of the awesome people who become your instant best friends. I love the random twitter mentions and emails and blog comments. People saying things like, "I'm a coffee addict too" or "I can't stop watching Frozen either!" This is friendship, people. The books, oh goodness, the books. Non-writers expect us to have a heck of a lot of books lying around the house. We are more than happy to oblige. The perfectly legitimate reason to drink your weight in coffee/tea. I drink approximately five cups of green tea a day now, and I make no apologies. The a-ha moments, when you actually like something you wrote. I don't think this needs much explanation. That whirring sound your brain makes when you can't sleep, because you're idea-crazy. This is usually ten minutes after you tried to fall asleep, so you grab hold of the pen and start writing down all of your ideas on the nearest notebook. Ignore the whirring sound. It'll go away. The deep, deep thoughts. We're just so darn smart. I mean, am I right? We are the thinkers, the questioners, the wordsmiths. We also hate pants. The couch potato days. I'm working, okay? Our job requires us to sit behind a laptop. This typically happens on a couch, in pajamas. How lazy/awesome can you get? 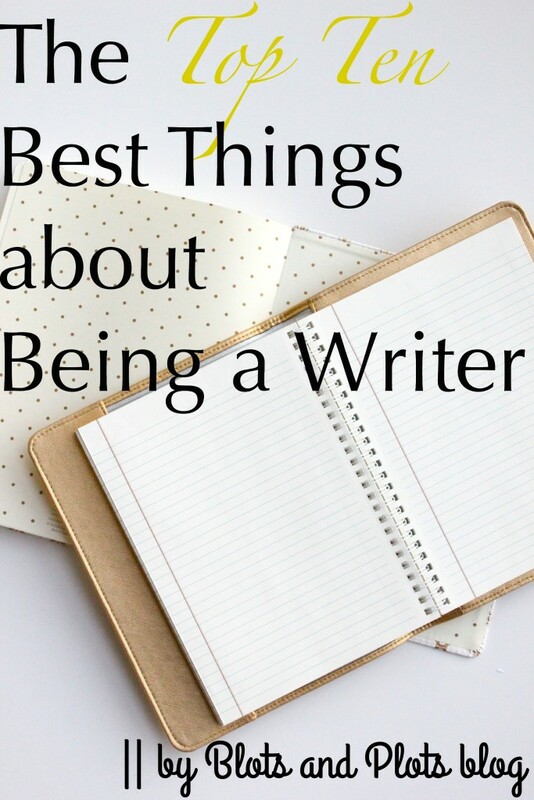 The fact that even if there was no money, no readers, and no "fame," we'd write anyway. Because it's what we do. I'm lucky enough to have readers on this blog, and I'm so thankful for each and every one of you. May an outpouring of confetti greet you in your travels. And there you have it, folks! Thoughts on the series? Comment below!